The Medium and large STAT bags hav a single compartment, this provide a more economical route for holding items that do not require the specialized compartments. Like all of our STAT products, they have been designed to remove easily and go with you if you want it to. They are built with quality stitching and water resistant 600 denier nylon material....Very Tough! 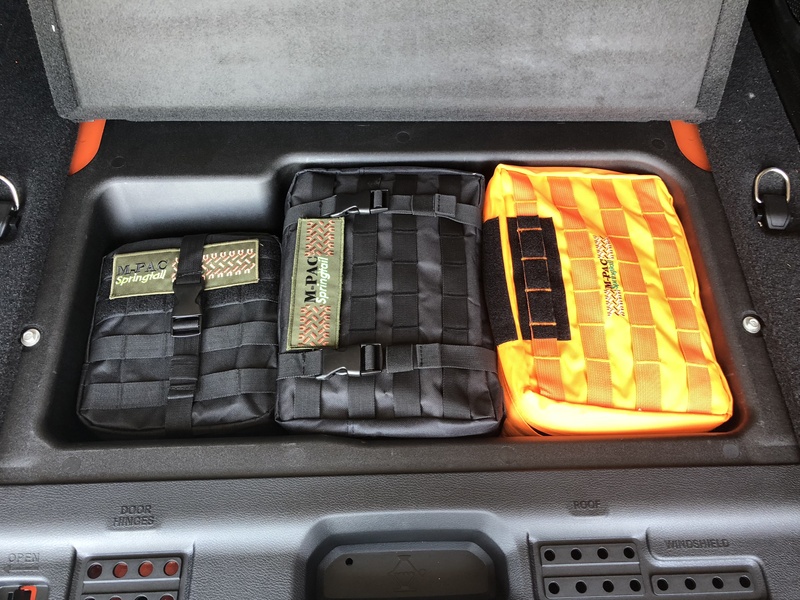 Just like the other STAT packs, these pouches have Velcro backing and dynamic straps that keep them secure in the rough going...BUT, it can be removed and replaced in mere seconds.